Harbortouch is an industry leader in point-of-sale devices and payment solutions. The company provides services for hundreds of thousands of merchants annually. Flagship products of Harbortouch include their Echo and Elite POS devices. The products and services offered by Harbortouch are revolutionary. Regarded as a pioneer in the POS and payment solutions industry, the company is strengthened by the dynamic and motivated individuals who make up their team. From product development to service processing, the team aims to facilitate high quality assistance at every turn. Always aiming to provide stellar service to the merchants they partner with, Harbortouch maintains a strong league of representatives. Currently, the Shift4 Company, which operates both nationally and internationally, is looking to bring innovative and inventive thinkers on board to their team. The company is seeking to fill three roles: Senior Android Software Engineer, Point-of-Sale (POS) Representative and Technical Representative. Considered candidates will have extensive knowledge of the full mobile development life cycle as well as emerging Android technologies. The company is looking for someone with a desire to learn, a powerhouse backed by working knowledge. As Senior Android Software Engineer, this individual will push Harbortouch’s Android-based mobile operating program to the limits, developing services that are robust and engaging. This role is part of the company’s Technology Group. This individual will help facilitate assistance for merchants already equipped with Harbortouch’s flagship product line: Point-of-Sale (POS) devices. Under this role, the Representative will help merchants with any and all issues experienced with their Habortouch products. Representatives will be expert problem solving strategists who will troubleshoot and resolve operating program complications. Similar to the POS Representative, the Technical Representative will work directly with consumers. These team members will become well-versed in the group’s credit card terminals, electronic cash registers and various other processing equipment packages. Though this position is entry-level, all team members are provided with the training and tools to help them advance their careers and grow within the company. Harbortouch operates out of two locations. Their corporate headquarters are based in Allentown, PA and their Development Center is located in Vilnius, Lithuania. 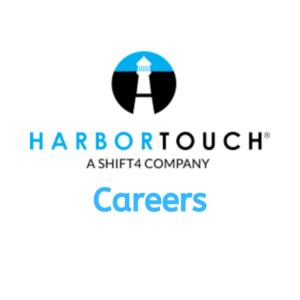 For more information regarding job and career opportunities, visit https://www.harbortouch.com/careers.